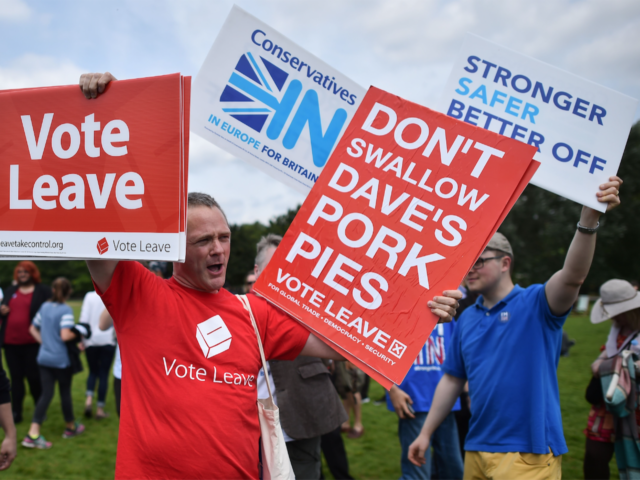 (AFP) – The only thing everyone seems to agree on is that the result of Britain’s EU referendum could be a close one. But, after many pollsters failed to predict a Conservative victory in last year’s general election, some Britons are turning to other sources for their predictions — serious and less so. This polling average compiled by University of Strathclyde politics professor John Curtice is a key reference point and puts the “Remain” and “Leave” votes exactly neck and neck. Curtice is well respected, not least because his surprise exit poll on the night of the 2015 general election went against all previous polling and accurately predicted the result. This time around, based on the latest polls at the time, Curtice said last Thursday that the two camps were so close that there was “no favourite”. Betting companies are overwhelmingly confident that the pro-EU camp will win, with the odds they offer for pro-EU gambles widening in recent days. The latest odds at Ladbrokes are 1/3 for “Remain” — an implied probability of 75 percent, meaning a £3 bet would win just £1. The same company gave “Leave” 9/4 odds — a chance of only 31 percent. William Hill has “Remain” on 4/11 — an implied probability of 73 percent — and “Leave” on 11/5 — or 31 percent. During a campaign stop this month, UK Independence Party leader Nigel Farage put his money where his mouth is and bet £1,000 on “Leave” at Ladbrokes. At the odds he was betting on, he stands to earn £2,500 if his side wins. The financial markets have been far less certain on the result, falling sharply on the back of some opinion polls which showed “Leave” gaining ground. “It is becoming extremely worrying for the financial markets and expect more sterling losses” if polls show a Brexit lead, Hussein Sayed, chief market strategist at currency trader FXTM said earlier. On voting day itself, the value of the pound could become a key indicator as to the final result, if British media reports about banks and funds commissioning private exit polls are to be believed. There are no official exit polls for the referendum. A respected election expert, Lord Rob Hayward, has said that “the balance of probability is that the nation will vote to leave”, saying that polls may be underestimating support for Brexit. Hayward said Labour supporters have not been motivated to vote “Remain” and polls underestimate “Leave” support among a group of voters he categorises as “mortgaged, married, male, mid-30s-40s with kids”. Hayward correctly warned that polls were underestimating support for the Conservatives ahead of last year’s election. A British brewery has launched a range of beers to stimulate debate over European Union membership. Little Valley Brewery in Yorkshire has brewed 10,000 pints (5,600 litres) of three pale ales, bearing the names “In”, “Out” and “IDK” (I Don’t Know). At the Aire Bar in Leeds, which stocked the beer, punters were encouraged to order according to how they would vote as a sort of informal polling. Staff told AFP that the results from one day earlier this month were clear — 62 percent in favour of “In”.